Songserm Office is located in Khaosan Road. It offers bus + ferry combo tickets to the most beautiful islands and the most popular destinations in Thailand like Koh Samui, Koh Phangan, and Koh Tao. 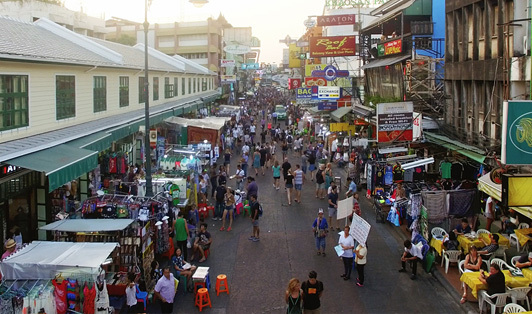 You’ll find the buses on Khaosan Road from where you’ll start your amazing journey.